This book investigates the disparity between rhetoric and performance in the European Union response to abuses of human rights and transgression of democracy. With the Arab spring putting the spotlight on the EU's self-portrait as committed to promoting global human rights and democracy, this book examines the paradoxes of its international posture and the inconsistencies and double standards of its policies. 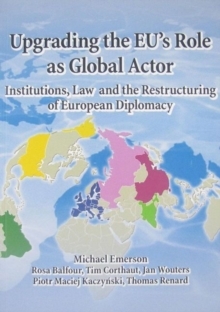 With an informative and empirical approach examining EU relations since the end of the Cold War, this book seeks to uncover the reasons behind the Union's actions and understand the foreign policy dilemmas and processes that guide its action. 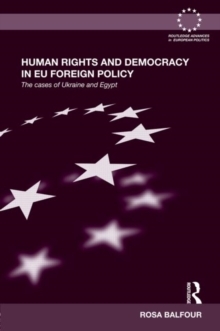 Including detailed analysis of Ukraine and Egypt, and the EU response to momentous changes for neighbouring nations, the author draws upon thoroughly-researched investigation into twenty years of EU foreign policy to create a framework using both EU Studies and International Relations. Providing a deeper analysis than other dominant explanations, this book presents new theories on the reasons behind the mismatch between words and deeds. An invaluable and timely volume, Human Rights and Democracy in EU Foreign Policy will be of interest to students and scholars of EU politics, International Relations and human rights policy.